Just South of Monmouth, The Whitebrook is an ideal base from which to explore. 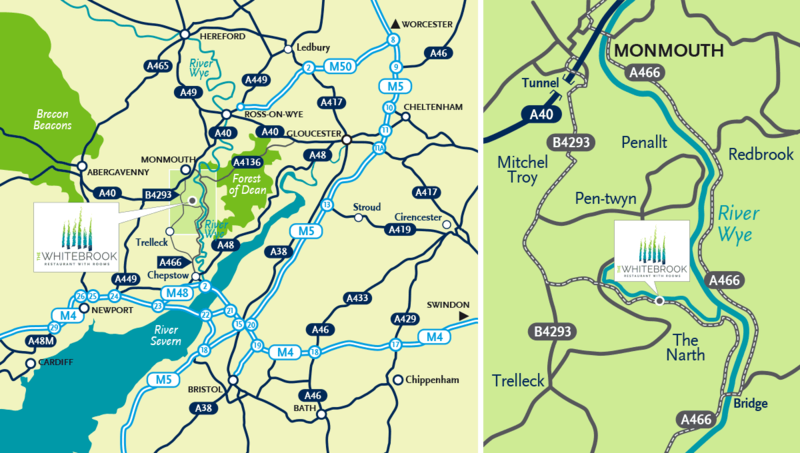 The surrounding Wye Valley and the neighbouring Forest of Dean offer many areas of outstanding natural beauty to visit. Focal points include the Brecon Beacons, the Black Mountains, Tintern Abbey, the famous Offa's Dyke path and Symond’s Yat. The area is ideal for walking, horse riding, canoeing, cycling or just enjoying nature. "Time spent at Le Manoir with Raymond Blanc has helped inform Chris' cooking with genuine craft and precision, and the local environment provides the final ingredient to create one of the region's top dining experiences"